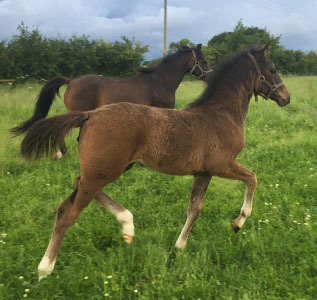 Thursden Vallye Raphael, known as "Chocolate", is a striking son of SPSS graded Sports Pony Stallion Aimbry Chester out of a classically bred and SPSS graded mare by Yealand Night Owl. This elegant pony has an exquisite head, fabulous athletic paces and superb temperament. He has very correct conformation with a fabulous front, length of rein and the ability to inject quality into all types of mares, continually producing his own stamp over and over again. Aimbry Chester is a Pink Papered son of Wadacre Chicko and is really bred in the purple, his relations include Ramiro Z, Lady Killer, Galanthus, Rastell who was a top level graded jumping Stallion in Sweden and Raimondo who was an international Showjumper and sire of the graded stallions Ragtime, Rinaldo and Ramir. Chester is related to several top class horses including Ratina Z by Ramiro, Gold medal winner at the 1994 World Equestrian Games, Libero H and Taggi. His full brother Aimbry Cabana achieved approved status at the Anglo European Stallion grading and in his first year competing he won young rider gold medals and many novice championships. 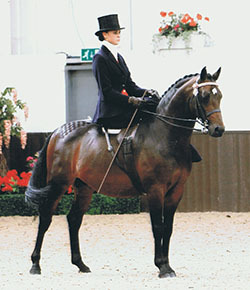 Cabana was Elementary National Champion in 1997 and the Homebase 5 year old Dressage Champion. 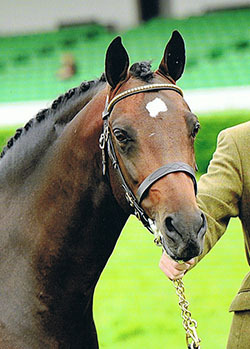 In his own competition career, Chester specialised in Dressage and was graded medium by British Dressage. Chester won 12 times at this level, amassing over 245 Dressage points. 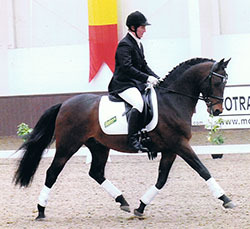 In September 2002, he came 7th in the medium final at the National Dressage Championships. 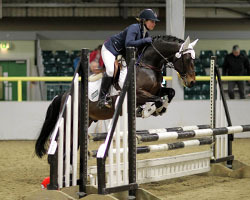 In 2003, he competed with Holly Doyle at the Addington and Sheepgate under 21’s championships. He was working at advanced level when his stud career took precedence. Chester is also ‘ The Face ‘ of Baileys Horse Feeds and can be seen on many of their advertising merchandise. Berryrose Dawn Chorus is an outstanding broodmare. She graded with the SPSS in 2003 with Raphael as a foal at foot then qualified for the Pony of the Year Show in 2005. 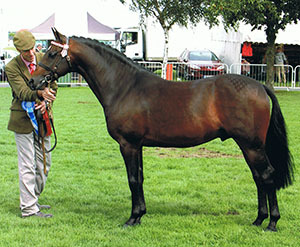 Her dam's sire, Bottingelle Swansong’s progeny include Romai Mr Macawber who qualified for HOYS 2003, 2004 & 2005, RIHS 2004 & 2005, won at Great Yorkshire and was Champion Young Show-hunter Pony at the BSPS 2005 Summer Championships. Swansong's sire, Oakley Bubbling Spring, a legend of his own lifetime, a top class pony stallion who can be found in the pedigree of most prolific winning ponies, as well as having an outstanding ridden career. Yealand Nightowl is the full brother to the other top class pony stallions Yealand Night Echo and Yealand Nemesis. His progeny include the Supreme In-hand NPS Championship Show 2002, winner of the Vincent David Cup, Reserve Supreme BSHC and RH Champs 2004, Winning Pony Show Hunter type NPS Championships 2004 and Winner of Arab Horse Society National Champs 2003. Nightowl's grandsire, Bwlch Valentino, has been described "as a stallion of such stature, both genetically and physically, that it is difficult to imagine that such potency could have been pulled together in one equine". A "Northern Dancer" among Riding Ponies, he is the patriarch of the British Riding Pony, produced a dynasty of Cusop ponies and other progeny includes champion ponies, Bwlch Zephyr, Zip and Zingaree, Wingrove Minkino, Poliana, Pollys Gem, Oakley Bubbling Spring, Cusop Dignity and Cusop Flamingo. When his dam graded with the Sports Pony Society Chocolate was only 3 months old and was described by both judges as "an outstanding foal with excellent conformation, temperament and charisma, the epitome of The Sports Pony Breed Standard". This attractive talented pony stallion shows a careful jump over poles, loose jumping up to 1.25m and is bold and brave across country water, ditches, banks etc hacking out alone and in company. He was easily backed and ridden away during Autumn 2005 by a small child and is still proving to be calm and sensible, regularly ridden and handled by children which must surely be testament to his outstanding manners and temperament. Chocolate is a multi Champion Ridden and In-Hand pony who has been awarded best stallion of the day at the ridden Cherif Championships. He is now a Dressage pony, with the aim to be selected with a junior rider for BYRDS pony teams. With over 170 British Dressage points, he has won & been placed consistently from Novice to Prix St Georges level with scores of up to 71%. He was selected for the PBA team for the NPS/Topspec International Dressage Final at Addington 2012. In 2009, he began his showjumping training with international junior showjumper Lara Whiteway who was a member of the Junior British Team; he is very brave and careful over a fence. Proving his versatility, Chocolate competed at the Cherif Championships in Autumn 2009 carrying a side saddle something he took to after only a week’s training. For two years running he was been the sire of the Supreme Pony Foal at The British National Foal of the Year Show. This elegant pony has an exquisite head, fabulous athletic paces and superb temperament. He has very correct conformation with a fabulous front, length of rein and the ability to inject quality into all types of mares, continually producing his own stamp over and over again. He is Registered Part-Bred Arab (14.6%) and does not carry the red gene so has therefore never produced a chestnut foal even to chestnut mares. 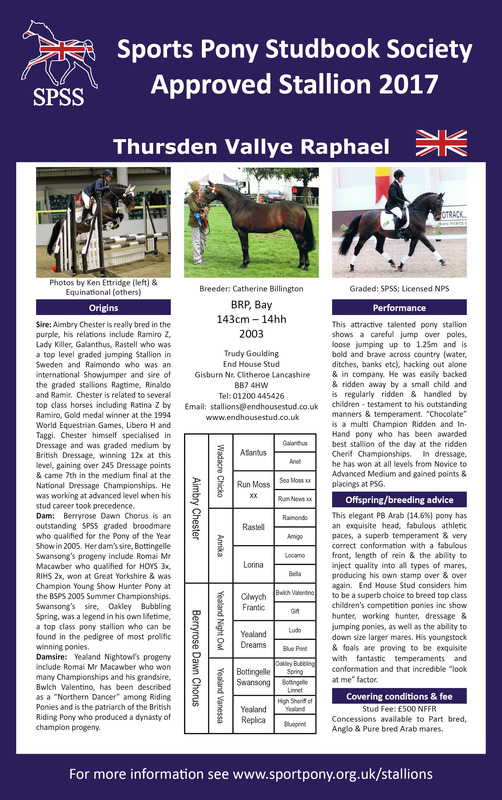 End House Stud considers Thursden Vallye Raphael to be a superb choice to breed top class children's competition ponies including show hunter ponies, working hunter ponies, dressage, and jumping ponies. As well as the ability to down size to breed fabulous Hacks, Ridden Part Bred Arabs and Intermediates from larger mares. His youngstock and foals are proving to be exquisite with fantastic temperaments and conformation and that incredible “look at me” factor. Partytime Higher First Premium BEF Futurity Evaluations 2011. Bathleyhills Chocolate Dream winning dressage pony first time out with scores of 70 & 72%, 2nd PBW British National Foal Show.1st SPSS Open Youngstock show achieving a SPSS first Premium scoring 9/10 for temperament and general impression, 9.5/10 for head/neck and 9/10 for walk, 2009 BEF Futurity 1st Premium and SPSS 1st Premium, BSPS Winter Champs 2012 1st Restricted 143 SHP, 2nd Novice SHP, 4th Open 143 SHP & 8th HOYS Qualifier 143 SHP. 2012 qualified RIHS twice in three days. Rutland County – 1st RIHS 143cm SHP & Area 3a – Richmond 1st Pretty Pollys SHP. Placed 2nd HOYS 2012. Songbird Of The Skie Champions of the Future 1st Sports Horse Foal, 1st PBA 2/3 yr old, Best Of British 2009. Goodenbergh Goldfinch Derbyshire Festival of Showing - Hunter Pony yearling 1st, Cheshire County Show - Hunter Pony yearling 2nd, National Showing Show (Aintree) - Hunter Pony Yearling 1st, Pembroke County Show - Hunter Pony Yearling 1st, BEF First Premium BEF Futurity Evaluations Sports Pony Eventing Foal, North of England 2010 1st and Reserve Champion SHP Foal NPS Silver Medal Winner qualified for Silver Medal Final NPS Summer Champs. 2011. 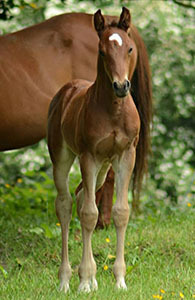 1st SHP Foal & Reserve Supreme Foal - NPS Area 4. 1st & Reserve Champion Show Hunter Pony, 1st Sports/Competition Pony 2010 British National Foal Show. Jack Yorkshire Sport Horse Show 1st sport horse foal and champion, North Yorkshire County 1st Sport horse foal, Great Yorkshire Show and 3rd Small hunter foal class. Imperial High Renaissance Newark & Notts County - Riding Pony yearling 3rd, Three Counties Show - Riding Pony yearling 3rd, Cheshire County - Riding Pony yearling 4th, Royal Highland Show - Riding Pony Yearling 2nd, Great Yorkshire Show - Riding Pony Yearling 4th, Royal Welsh Show - Welsh Part Bred Yearling 5th, Royal Welsh Show - Part Bred Arab Yearling 6th, 2nd Partbred Arab 2010 British National Foal Show. 2012 1st part bred Arab 2/3yr old Royal highland, first and reserve champion sports pony Scottish horse show. NCPA Pony Of The Year 1st & Champion PBA. Moonstrike Revel Dancer 3rd SHP Cheshire County Amateur home produced pony not ex 138cm - 3RD Sports/Competition pony - not to ex 138cm – 2nd 2010 British National Foal Show. Clearbeck Vivaldi Champion Hunter Pony & Supreme Champion Pony Foal & Reserve Supreme Foal of Show 2011 British National Foal Show. 2012 Hunter pony yearling 1st NCPA open, 1st Hambleton (& reserve Champion), 1st Derbyshire festival, 1st Royal Highland, 1st NPS Summer champs (champion yearling & reserve champion youngstock). Plus won riding horse yearling at Hambleton. 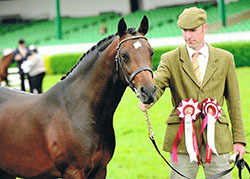 Tarnbrook Take It All First Premium BEF Futurity Evaluations 2012. Clearbeck Diamond Jubilee 1st & Champion Alsager Foal Show 1st & Champion Sports Pony – Supreme Champion Pony Foal & Reserve Supreme of Show British National Foal Show 2012.